Travel Guide: The many activities in & around Chiang Mai. A popular destination in Thailand among backpackers is Chiang Mai. 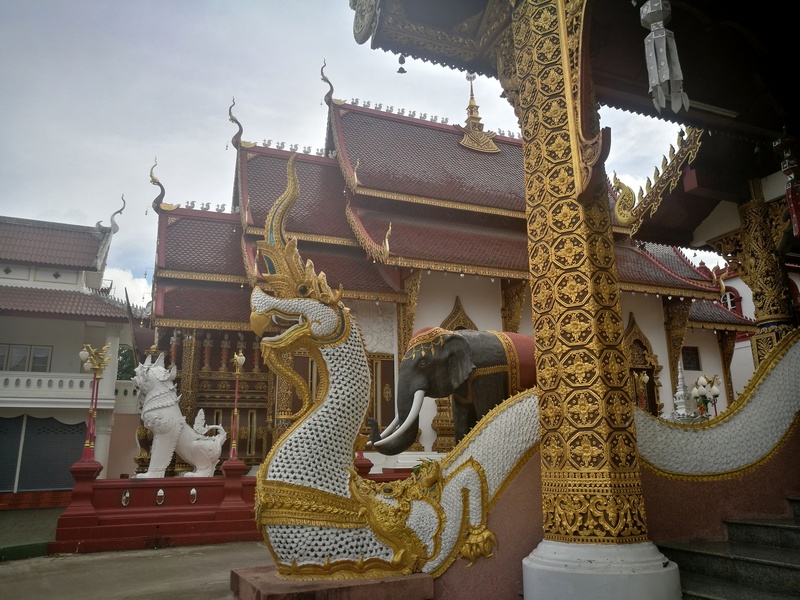 Chiang Mai is centred in the North of Thailand and if you’re travelling through the South of Thailand as well you will feel the big difference between those two. Where the South is the place to be for island hopping, enjoying the sun and the ocean and partying a lot (read my adventures here), the North is the place to relax, enjoy amazing food and do some incredible activities. Chiang Mai is centred in the highest mountains of Thailand which will increase the differences with the South even more. Another big difference and a big plus for the backpackers on a budget is that the North of Thailand is way cheaper than the South. Many backpackers take the night train from Bangkok all the way to Chiang Mai. it is also really easy to fly for only a couple of baht, the flights offered by Air Asia are really affordable. My flight was from Surat Thani (after spending my days island hopping in Southern Thailand) to Chiang Mai Airport, where it was easy to get a cab to Chiang Mai City. There are many good hostels in Chiang Mai. I stayed at Stamps Backpackers which was a fun experience. I liked that you could book all kinds of activities at their place, like the cooking class which I will share with you later in this article. And at night there were some activities you could join like going to a ladyboy show or a muay Thai fight. It’s easy to spend multiple days (or even weeks) in and around Chiang Mai. The city itself has a chilled vibe where a lot of students found their residence. The city has over 300 temples wherefrom over 100 inside the old city walls. I never knew watching amazingly beautiful temples could become something you get bored of, but it did (a lot of backpackers call it temple tiredness). Still, don’t let that stop you checking out some of the many temples. At night there is the gigantic Chiang Mai Night Bazaar which is paradise if you want to do some souvenir shopping for yourself, your friends and family back home. From the famous elephant trousers to some epic art, you can find it all here! I met multiple travellers who bought an extra suitcase for the simple reason they bought so many souvenirs here. Time for some drinks and dancing? Go to Zoe in Yellow! If you’re keen for some drinks at night this is the place to be. What I love about Zoe in Yellow is that most of the party is just outside on the streets of Chiang Mai. Zoe in Yellow is also the place to be to meet some fellow backpackers. Tip for the backpackers on a budget: buy your beer at 7-eleven and drink it around Zoe in Yellow. 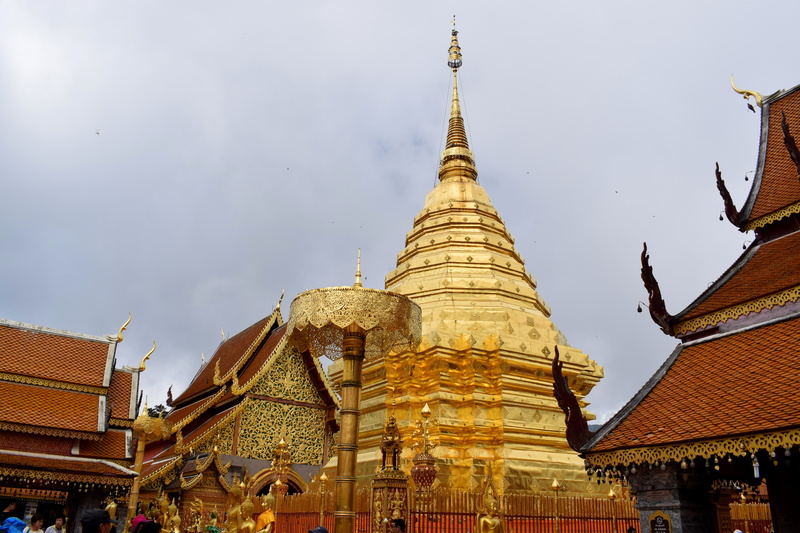 A perfect half day trip is to go to the temple in the hills: Wat Phrathat Doi Suthep. You can easily jump in one of the many red trucks (the so called songtaews) driving around the city and let them drop you at Chiang Mai’s zoo for a couple of baht. From there you can change to another red truck which will bring you all the way to the temple. At the entrance you have to take 309 steps to the temple itself. 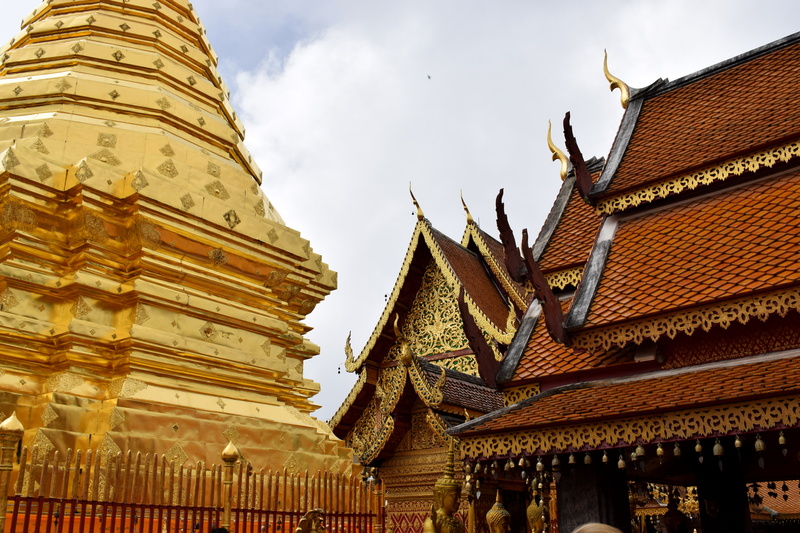 The golden temple is situated on the mountain Doi Suthep which leads to an amazing view over Chiang Mai. Even though the temple is quite touristy, it’s still a scenic place to be. If you want you can get blessed by one of the monks. I don’t even know where to begin with this one, except that this was my absolute highlight when travelling in Thailand. 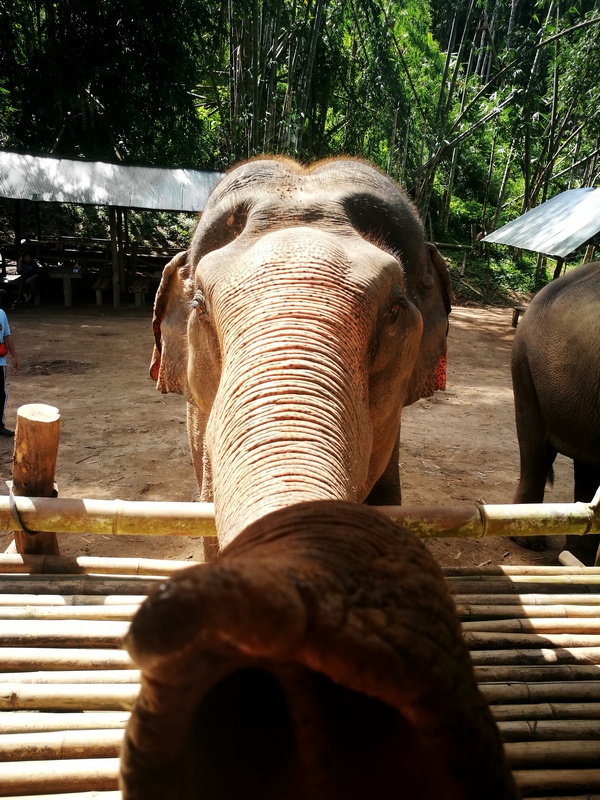 My journey began in the South of Thailand and unfortunately you’ll find a lot of elephants there which are still be used for fun rides for tourists. 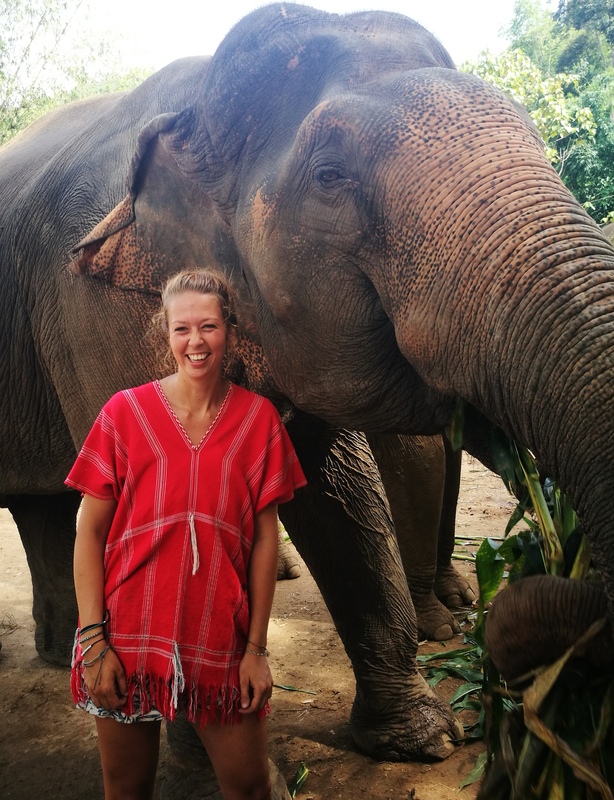 Luckily you’ll find a lot of sanctuaries in the North of Thailand where they rescue those elephants (also from the circus and from working in the jungle) and give them an as pleasant life as possible for the rest of their days. After some asking around I decided to go to the Bamboo Elephant Sanctuary. This sanctuary takes care of five elephants right now. The elephants are living freely on two hills and they can decide for themselves if they want to come and say hello. Most of them will because you will feed them a lot of bananas and bath them in the river. I loved how calm and gentle they were with us even though they have been treated so badly by other men in the past, the happiness you’ll see in the elephant’s eyes are what makes this day trip magical. Elephants truly are majestic animals if you ask me. After the feeding, bathing and making some medicine for them you will walk with the elephants through the jungle. It’s so impressive how elephants can climb their way through the steep paths of the jungle. After the most amazing time with the elephants we continued our day with a nice little fresh lunch all together. After that a hike from about an hour through the jungle all the way to a big and beautiful waterfall. Here we could take a refreshing dive, have a shower under the powerful strength of the waterfall and relax a bit. A fun end of this day is that you go rafting on the wild river closeby. I’ve never done this before and I loved it! The adrenaline is rushing through your body and it’s so much fun. Our little adventure had the perfect ending because at the end of our rafting adventure we saw a couple of elephants standing in the river while it was pouring rain: it looked like a perfect fairy tale if you ask me. As a nutritionist doing a cooking class during my time in Asia was high on my list. The longer I was in Thailand, the more I heard Chiang Mai is the place to do this. It’s not even one of the most affordable places to do it (I paid around 25 euros), there are also many cooking schools you can chose from. 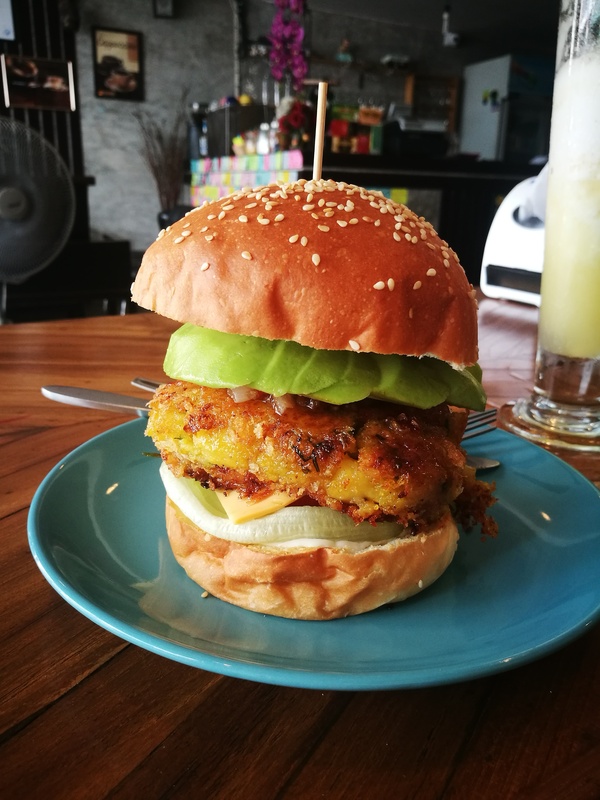 I went to Siam Garden Cooking School and I chose this one because here you were able to make your own curry paste as well, where a lot of cooking schools just give you the pre made curry paste. You start your half day activity at the market in Chiang Mai. Here they will teach you the important ingredients in the Thai kitchen. You continue your day to their cooking school, outside Chiang Mai, which will give you some pretty views on your way there. At the class you make four courses (you can chose which ones you want to prepare from a big list). For example: I made spicy tom yum with prawns, the famous pad Thai, crispy veggie spring rolls and the sweet mango sticky rice. At the end of the class they will give you a little booklet with all the recipes, including all the dishes you didn’t prepare. the meat burgers and they were not disappointed! 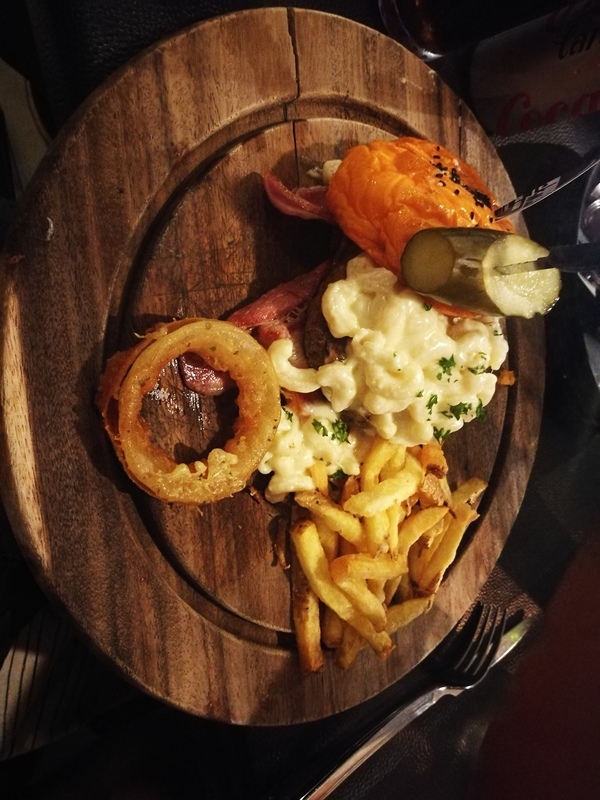 Don’t miss out on the sweet potato fries as well. This cute little cafe (close to the hostel Stamps Backpackers) is the perfect place to start your day. It has so many fresh and healthy choices which will give you the perfect kick start of your day. They serve perfect smoothies and strong flavoured coffees (which are rare to find in Asia, so this was much appreciated as a coffee addict). 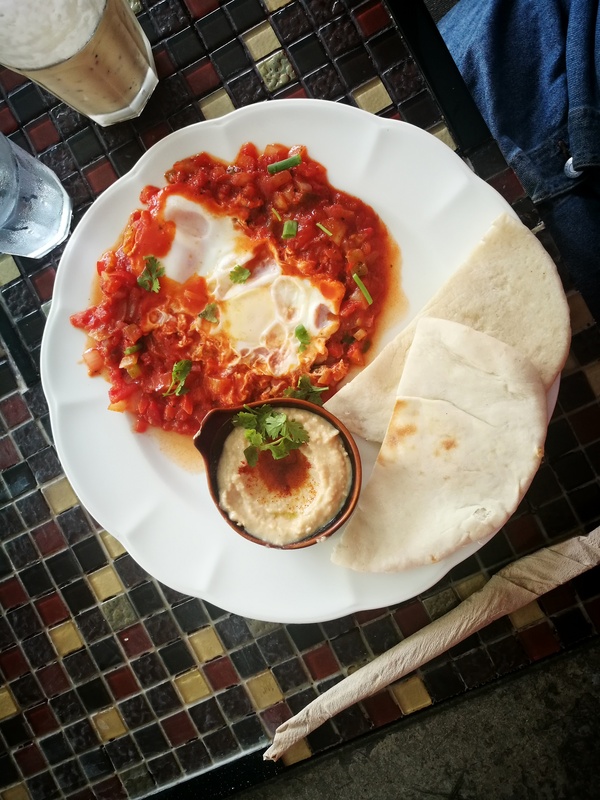 They offer fruit bowls, shakshuka, sandwiches and many more yummy delights. If you want to enjoy some extreme burgers and fries or craving some American food this is the place to be. If you can finish the your whole dish you earned my eternal respect (haha). If you fell in love with the North of Thailand and you’re not ready to leave this area, make sure to spend some time in a little paradise called Pai. In my article ‘Backpackers Walhalla: Pai‘ I’ll share all my recommendations with you. 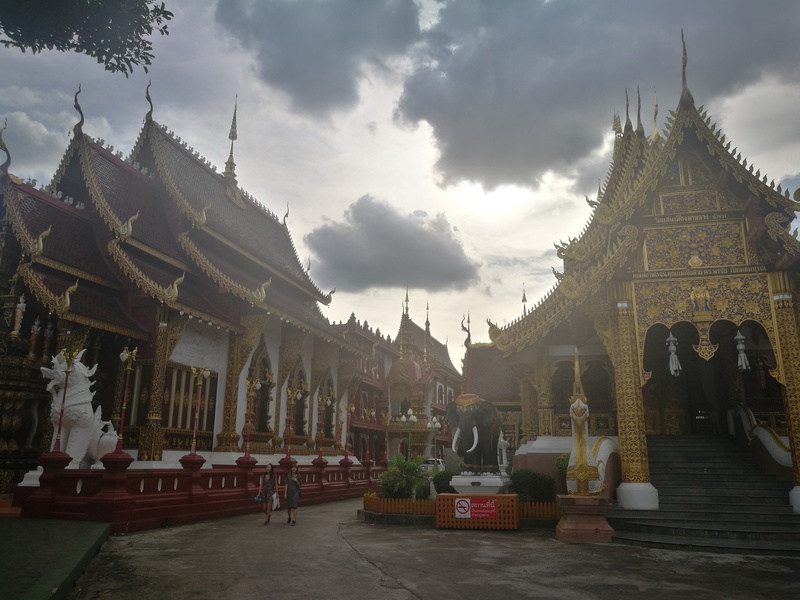 Chiang Mai is also the perfect travel hub if you want to continue your backpacker adventures to Chiang Rai (Thailand) or Laos. Chiang Mai is so great just the perfect balanced between fun and relaxed, I really miss it! Awesome article.